We accept payments via PayPal and Onepay using credit cards (Visa, Master) or wire transfer through Western Union or bank accounts. For further information, please see our Payment Guidelines. 1. Stamping fee is NOT included in service fee. It is payable only at Vietnam airport. 2. The above tariff is applicable until December 31th, 2018. If your online application is submitted before 08:00 am in Vietnam (GMT +7) and is approved, the Letter of Approval will be sent to you by 06:00 pm on the same day. + Morning: If your online application is submitted before 08:00 am in Vietnam (GMT +7) and approved, the Letter of Approval will be sent to you by 12:00 pm on the same day. + Afternoon: If your online application is submitted before 1:30 pm in Vietnam (GMT +7) and approved, the Letter of Approval will be sent to you by 5:30 pm on the same day. 4. NO hidden and extra fees will be charged. SERVICE FEE: Vietnam Visa collects this fee to process Approval letter with which you can get on board and obtain Vietnam Vise. STAMPING FEE: To have your visa, stamped, you need to pay in cash directly to Immigration Department at Vietnam international airport. ASSISTANCE FEE: $25 We offer Assistance Service to save time waiting in a long queue at immigration checkpoint at Vietnam Airports. 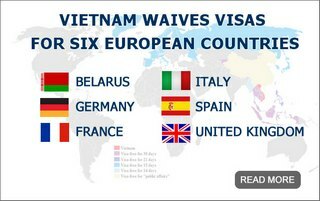 Our staff will take care of every procedure right upon your arrival until your acquirement of stamped Vietnam visa. HOW DOES ASSISTANCE SERVICE RUN? Step 3:You will need to present our staff your visa approval letter, passport, 2 photos (4x6cmwith white background), entry & exit form and stamping fee and subsequently our staff will handle all necessary procedures to get your visa stamped. Step 4: You will have back your passport with stamped Vietnam Visa from our staff. E. AIRPORT TRANSFER FEE: Airport transfer service is also available for one to one hundred customers. Do not forget to check your luggage before calling a cab. In need of support? Our Customer Care Consultants are always ready, call us at +84 9 8852 2908. Or you can email us at [email protected]. Within 2 hours in workdays and 24 hours at weekend, you will receive responses from Our Customer Support. Vietnam Visa Embassy Online- Apply Vietnam Visa Embassy Online Safe, Fast And Cheap.